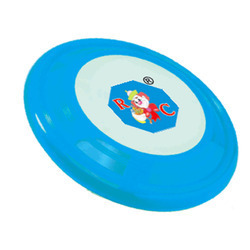 We are a leading Manufacturer of plastic flying disc and speed flying disc from Thane, India. Engaged as a manufacturer, supplier and exporter, we are providing Plastic Flying Disk. Under the guidance of experienced professionals, these disk are manufactured with perfection in tandem with the guidelines laid in the industry. Meeting the bulk demands of customers, we have mustered huge client-base across the nation. Gained prominence in the industry as a manufacturer, supplier and exporter, we are engaged in offering Speed Flying Disk. At our advanced manufacturing unit, these disk are manufactured with the help of modern machinery and cutting-edge technology. Post-production, these disk are checked on various parameters to ensure flawlessness.